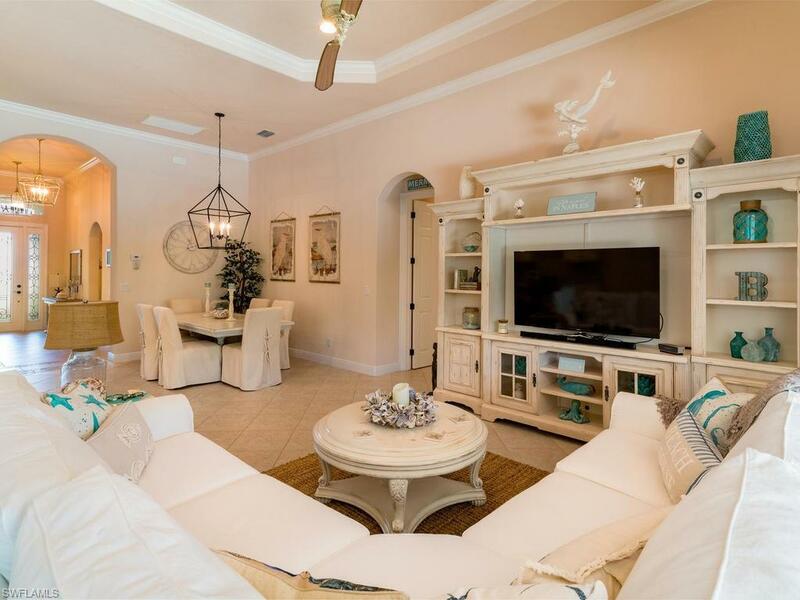 FALL IN LOVE w/this Luxury "Coastal Modern" LIGHT & BRIGHT 3 Bed Plus Den 3 Bath Single Family Custom Pool Home in the "BOUTIQUE" Toll Brothers Gated community of the FIRNAO! NO CONSTRUCTION WAIT! Built 2014! 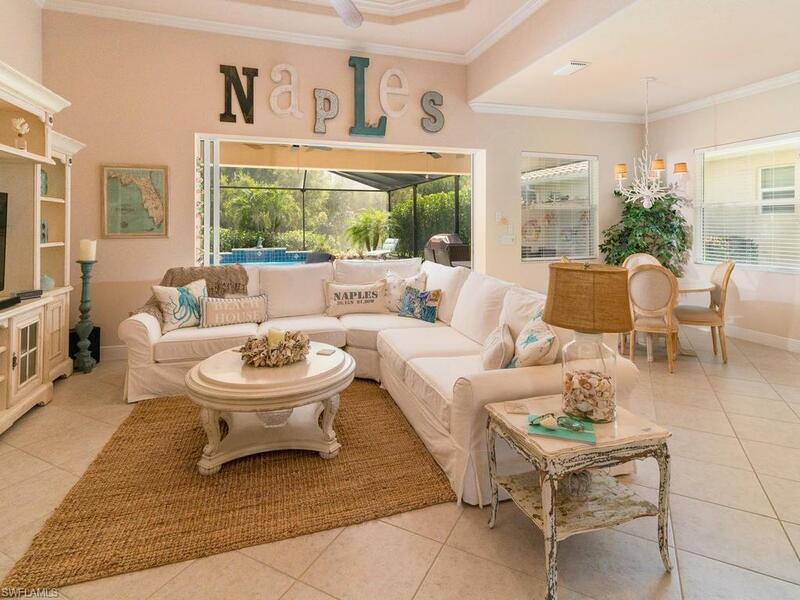 Located minutes to downtown 5th Ave, upscale shopping, dining, entertainment, farmers markets, fishing, galleries & NAPLES BEACH! Beautiful entry w/amazing Long view of Pool & Large Outdoor Living Space from the moment you walk in! Extra Large Screened POOL LANAI comes w/custom water feature & paver pool deck. LUSHLY landscaped & private backyard w/green space. Hurricane Shutters. Split FLOOR PLAN! 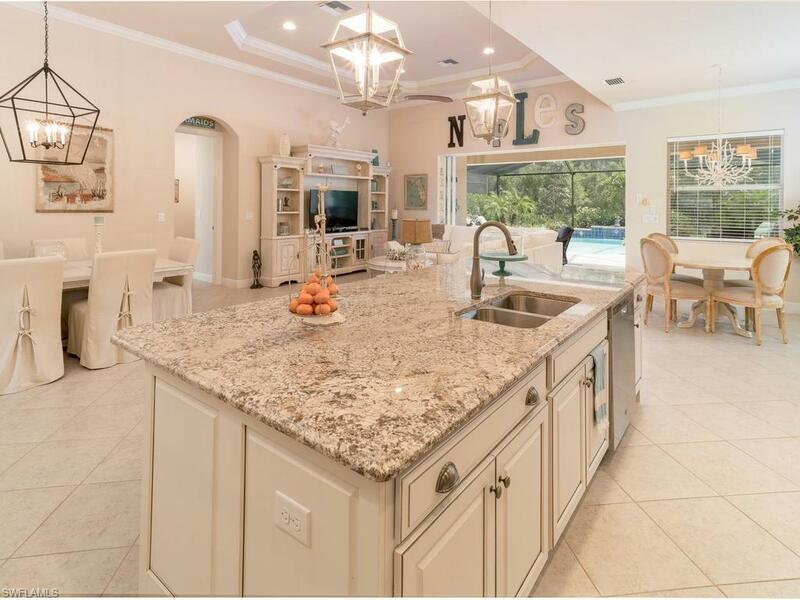 Lots of room for entertaining family & friends! 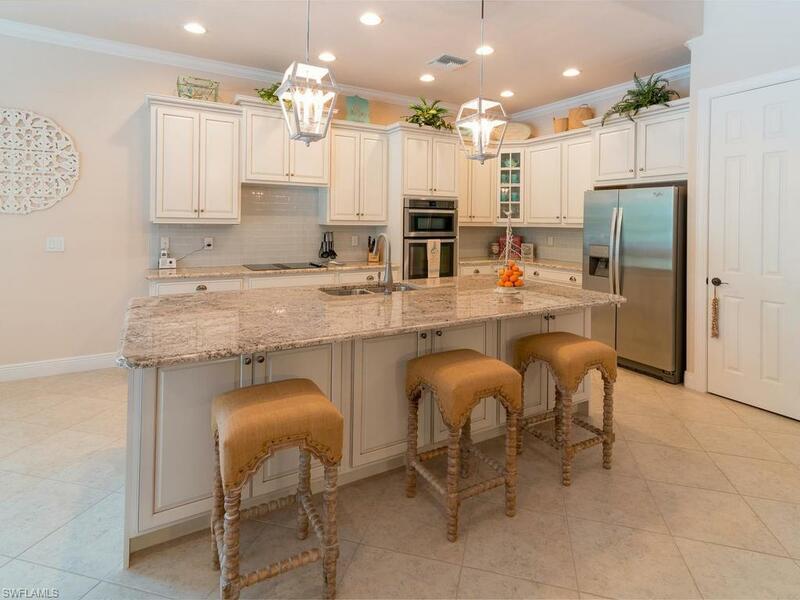 Gorgeous Gourmet Kitchen w/upgraded off white cabinetry, Extra Large Lower Granite Island w/sink & breakfast bar. Stainless appliances & Large Pantry Closet. LivingRoom w/separate Formal Dining Area. Tile, Wood & Carpet in the Bedrooms. Large Master Suite w/walk-in His & Her closets & Luxurious Master Bath w/double sinks, separate shower & tub. Split Floor Plan w/2nd & 3rd Bedrooms & Baths for Guests! PLUS DEN! HOA fees include Lawn Maintenance, Irrigation, Cable, Security & amenities: Pool/Spa, Fitness Room & Kids Play Area!